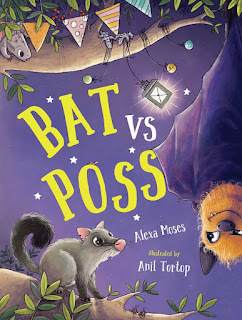 Kids' Book Review: Book Launch Blog Tour - Live Question Time with Tania! Book Launch Blog Tour - Live Question Time with Tania! WIN! A copy of this gorgeous new book. Ends 30 November. Click here to enter! In celebration of the release of Tania McCartney's new book Riley and the Curious Koala: A journey around Sydney, Kids Book Review is hosting a live question-and-answer session with Tania! Tania is here to answer ALL DAY LONG! Yes, you heard it right. She's sitting here staring at the computer screen, even as you read this, waiting for your question... do send her one now. She is waiting and drinking far too much coffee and nibbling on far too many iced vovos. Just post a comment below and she will ping one back to you! Comments can be left any time, even after LIVE CHAT is over. Come on - gather the kids and join in the fun! Just click on the comments link below. Hi Tania, what a fantastic opportunity to be able to ask any question about the fabulous Riley series! I have a few question if you don't mind. Firstly, how long would it take for you to produce a book from writing the manuscript to receiving it from the printer? Did you photograph the images for 'The Curious Koala' yourself - if so what camera was used to capture these images? How many more do you think will be added to the 'Riley' series? Lastly, do you think you will be writing a series based on a girl character in the future? Thanks for you time. Hi Mason! 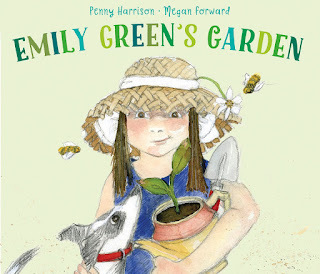 It's so lovely to see you on Kids Book Review and I love your question! Well, I have been interested in writing pretty much all my life. I still have my grade 3 'creative writing' exercise books... back then, proof of a good story was how big and sparkly your sticker was! I can't even tell how much those stickers encouraged me to write creatively... my creative writing books are filled to brimming with stories - and since then, I just haven't stopped writing. I hope you are doing lots of creative writing, too. 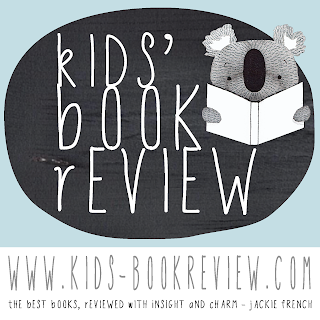 Dear Teresa - welcome to Kids Book Review - it's so lovely to have you here! I remember the first writing 'project' I ever took seriously was a poem I wrote in 4th grade called 'Slowly'. Slowly the sun starts to sink. Slowly the clouds fill the sky. Slowly we grow, you and I.
I think this was the opening, from memory... it was published in a Tasmanian newspaper. That was a true highlight of my early years! and I think the moment I knew writing was for me. As for adult writing, I wrote my first fiction manuscript when I was 17 - a practise run called Jade. when I was 18, I wrote Child of Glass and was a contemporary adult fiction novel. It was kind of painful to write and I've never shown it to anyone. My third fiction novel Breathing Under Water, I wrote at 19 and submitted to the Vogel Award - Australia's biggest prize for unpublished writers under 35. I achieved a manuscript appraisal from this and the ms was sent to an 'outside' reader who said I had 'considerable raw talent' - it was an 'almost' published thing. Not having Breathing Under Water published crushed me completely and unfortunately I stopped writing for a while. I stopped writing many times in my life - and it's probably one of my biggest regrets. Rejection is part and parcel of being a writer... it should never stop the process. Hi Maegan! Welcome to Kids Book Review! I love having you here. I remember when Hodder Headline called me to say my ms for You Name It had been accepted... when I hung up the phone, I leaped around the loungeroom for 15 minutes and I jumped so high and screamed so loud, I collapsed on the floor! This was a non-fiction book about names - it was a lot of fun to write and I love research, so it was perfect for me. It was a very 'different' naming book - featuring meanings of really unusual names like Shakespearean names, names from nature and names from around the world. It also had a lot of information on the naming process. Being accepted by a publisher for the first time was absolutely one of the biggest highlights in my life. This was in 1995 - so it was a while ago now! Teresa - I love this question. 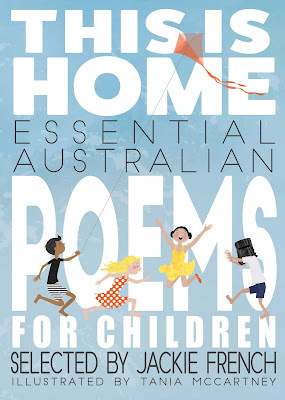 A non-fiction lifestyle book that celebrates the Australian way of life and home. I have this ms idea with a major publisher right now... so this dream may yet become a reality. Keep your fingers crossed for me!! Hello little Peiten!! How are you darling one? So so lovely to chat with you! 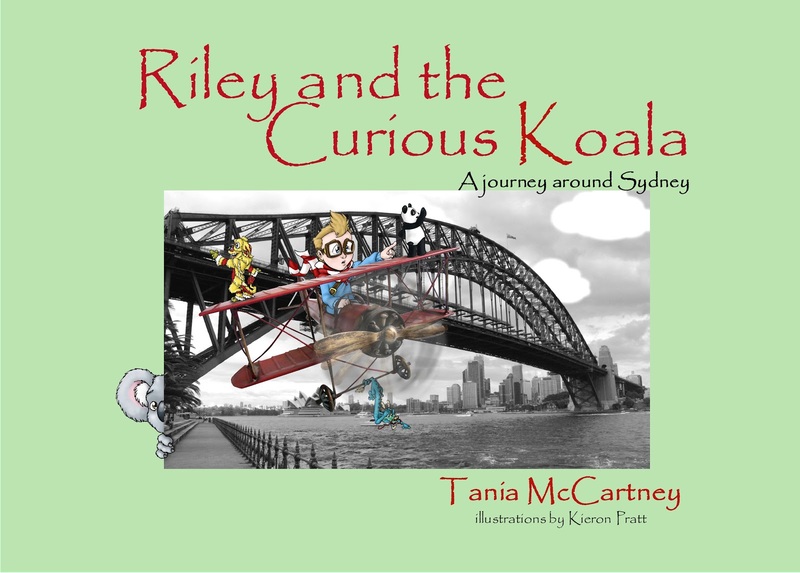 Riley and the Curious Koala is being released on 21 November - in two days' time! eeeeep! It's going to be available Australia-wide from Monday but alas, it's not available in North America yet... this is because Amazon, one of the largest companies in the world, require all booksellers to have a US bank account (!?). Because I don't have a US bank account, I can't sell on Amazon, alas, but I really would like to as I know a handful of people in North America would like to buy my books! Hi Tina! Welcome to KBR! Producing a book, timewise, can really vary - but I put out a new Riley book every year, so i guess you could say it's a year-long project. As for how long it takes to actually write... I started writing the ms around February of this year and Kieron and I started working together seriously from about June. Then it was around 4 months of part-time to-ing and fro-ing with the illustrative components. I laid out and typeset the book during this process, so it only took me about a week to get everything final and ready for the printer. My printer sends me the proofs about 4 days after I submit PDF print-ready files, and within the week, proofs are signed and returned and we go to print. Two weeks later, my books arrive! So all up, I would say it takes about 2 or 3 months of solid work, if we push all those happenings together! Yes, I take all the photos for all my Riley books - Sleeping Dragon photos were taken on a little pocket Canon Ixus (including those vistas of the Great Wall!) but Dancing Lion and Curious Koala were taken with a Nikon D60 SLR. Oh my - I'm in love with that camera. I really want to do a series for my daughter Ella (who is a very patient child!) but this year has been KIND OF busy! so I haven't had the chance to start... I will, though, and hopefully it will be within the next year - I am thinking chapter books... watch this space! 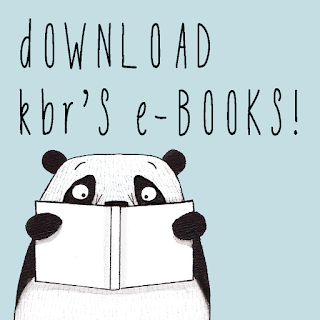 Maddison has a question for you: "Why did you write about a Koala this time?" Tom also wants to know: "How old is Riley?" Hello Mrs Sew and So! And hello Maddi and Tom! Maddi, I wrote about a koala this time because I tried to think of an Australian animal that would suit Sydney... I did consider a kookaburra and a wombat, too - what animal would you have chosen for Sydney? Tom - Riley was 5 went he started on his adventure in Beijing (he learned to fly very young!!) but he is nearly 8 now! He will be 8 in February. Very soon he won't fit in his little tin plane! Maddison says a wombat or a kangaroo. She has been learning about wombats at school. Tom says that Riley is very brave and very clever to fly a plane when he was 5 years old. I have been following the blog tour, and must admit I am in awe of your energy and your enthusiasm, Tania. My question is this: does being an author and publisher ever get you down? Are there times you feel like giving up and becoming something easier like a neurosurgeon or Iced Vovo Tester? If so, what do you do about it? Ella would like to know how you were able to get so many gorgeous photos and how you found the time to take them all! Also can you tell us if you will be selling the books in sets at the handmade Market? Maddi - I almost chose a wombat! But I'm reserving a kangaroo for Canberra, of course... What other capital city in the world quite literally has kangaroos hopping through the suburban streets?? Canberra is so cool!! Tom - Riley had training wings on his plane for around a year... you can learn more about Riley tomorrow - he is being interviewed on Sandy Fussell's blog! http://sandyfussell.blogspot.com/ I think you will love that interview, Tom! I'm sure other authors will agree with me - writing is a lonely pursuit and it's very hard work... not only because of the hours you need to put in (to the detriment of both your thighs and your hair and nails... and friends... and house cleaning...) but in terms of having your work enter the world. Having your work published can be so difficult as the market is saturated and it's an endless slog competing with everyone else to stand out from the crowd. I work incredibly hard and occasionally feel like I'm getting nowhere... sometimes I wonder if it's all worth it, and the answer, of course, is always a resounding YES - especially when I see the support flooding in at times like... RIGHT NOW! Self-publishing is also intense in hours and effort - it's nonstop and you do need to have total passion for writing - and probably a little bit of madness to pursue it. So, that can get me down sometimes... but honestly, I wouldn't have it any other way. Now, if my writing career fails, I wonder how well I could do in a career involving neurosurgery on iced vovos? Hi Fin! 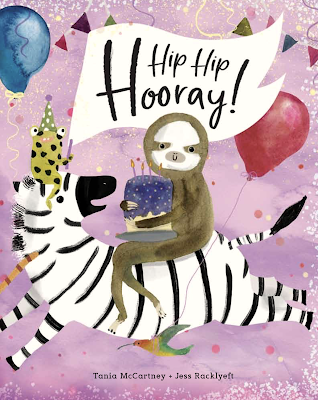 So lovely to see you on Kids Book Review! I love your question. Yes, I'm planning on writing a book about Ella but I'm not sure if it will be a picture book series or chapter book. I'm leaning towards chapter books for girls your age! Also, you must have read my mind because I've been talking with Kieron about having Ella join Riley somewhere in his book series... we shall see what unfolds - and you heard it here first! Dear MiMi - welcome to KBR and what an hilarious question! I LOVE the Indiana Jones son idea... LOL. Riley is growing up very quickly and I'm quite worried about him fitting in his little red plane! so that is a great idea. I'm also worried about all the little critters he collects on his travels... how they will fit in his plane, too... Kieron and I will have to get very inventive! I'm hoping to continue the Riley series for many years to come. I'm thinking 50 books, what do you think? Hello Roar - so lovely to see you here! And HOW did you know it will be a crocodile when I take Riley to Darwin!?! You are TOO SPOOKY! The only thing is, I need to make a trip back to Darwin to get more photos... maybe you could meet me there and be my danger consultant? Hi Belle! Thanks for dropping by! Love the question. I just asked Riley if he wants to be a pilot when he grows up and he said he actually doesn't want to... he said he wants to play football professionally in Australia for two years then join the NFL in the States after that. He told me he would let me know his address in America so I could come and visit him. I'm just hoping his career can keep me and his dad in the comfortable lifestyle to which we want to become accustomed. Ella would like to know how you got all your beautiful and amazing photos for your book? Also she wants to know where the next one will be? I just wondered do you have a limit on your Riley series? Like JK Rowling had 7 Harry Potter books and that was it, is this the same for Riley, and what is your next project in the works? Hello again Fin! Actually, I started a chapter book this year that features Riley (and Ella, too) but it doesn't name them... hopefully you'll hear more about this series next year. As for making the Riley aviator series into a chapter book... I like that idea!! Hello Tania, its Jacob Kos here. I can't wait to have my own copy of the next Riley book. How big will panda be in the book? I remember driving through those wonderful pointy hills one day and a fighter jet plane can roaring through the hills, right over our heads, darting between the hills! Can you imagine!!! It was breathtaking! So I can just imagine Riley doing the very same thing in his biplane! What sort of animal do you think he could search for in Scotland? A certain waterlogged monster, perhaps?? I love this question, JT! Of course, there are COUNTLESS books I wish I had written but I'll have to jump on the rather commercial bandwagon and say the Harry Potter series... I'm not sure there's an author anywhere in the world who doesn't wish this! But my deepest wish would be the 'This Is...' series by M Sasek. These are the books that inspired me to do the Riley books as a series and I'm rather obsessed with them. I also wish I was Emily Gravett, Davide Cali, Mo Willems, Andy Griffiths and Amy Krouse Rosenthal - all combined into one big writerly ball. I'm afraid I can't choose a particular book for each author - there's just too many! Hello Ella Bella and Julie! The photos for Riley and the Sleeping Dragon were taken during our time in China, over a few years and the Dancing Lion Hong Kong photos are also a mismash of shots taken from my many trips there - some dating back to the 80s! The Sydney shots for Curious Koala were taken last October when we did a 4 day trip to Sydney... and it POURED with rain! hence the watery theme, which actually worked out perfectly. I have a huge stash of photos already of lots of places around the world... but of course, I do need to get more travel in to update them. Anyone want to carry my luggage?? Hello again lovely Ella! The next book has not been decided yet! This is unusual for me, but it's because I have been tossing up keeping the series in Australia for a while... after the massive interest in Curious Koala and his Sydney trip, I think it might be worthwhile keeping things at home for a short while. 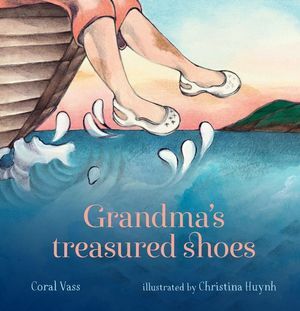 A really unique historical children's book, which I hope hope hope will be out by next Christmas. The new handmade living - A Handmade Christmas - for 2011 release. A non fiction travel series with a certain Ms Blandford. A revised edition of my memoir - Beijing Tai Tai. And another really fabulous picture book with Kieron - a Christmas book. On top of that, I have several lifestyle books I've started on, and to non fiction books I'm talking to two publishers about. Then there's expanding Kids Book Review even FURTHER! PLUS I want to start on a book for my long-suffering daughter Ella! No wonder I never have time to wash my hair! I've loved reading your blog tour this week. 1. Firstly, your 4th grade poem, Slowly, is so beautiful. I often wonder if children write so beautifully because they are not 'trying' but talking simply and truthfully about what they see and feel. 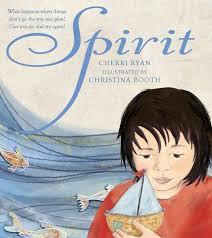 How much do you think writing is about 'letting' go and allowing ideas and characters come to you. And how does having an accountability to produce future books in a series affect this fluidity? 2. One of my favourite authors, Raymond Carver, had a hiatus in his career but said he returned to writing with new insight, maturity motivation and appreciation. Do you feel the same? What things were you doing in between your writing stints in the past and how do you think that life experience has influenced your writing today? 3.Do you find having diverse writing interests is useful so that you can happily bounce between projects if you get creatively stuck on one? I imagine it's quite a skill to shift between genres as a writer. Does shifting your focus, say between adult and children's writing, ever cause a conflict in your mind about which you'd prefer to pursue or which you value more? Hello Jacob Kos - my number one fan!! So wonderful to see you here! I'm really looking forward to signing a book for you tomorrow at the launch! I have a secret to tell you - Panda eats too much in this book. I mean - a lot. You know how Sydney has gorgeous food? Well, let's just say he takes advantage of the situation! By the end of the book, he's in serious need of a good jog. So in answer to your question - in Riley and the Curious Koala .... Panda is BIG! And he's funnier than ever before. Hello lovely Lisa! and welcome! Firstly, let me tell you how much I love YOUR book - Covetables. It's truly divine!!! For me, I think writing is ALL ABOUT letting go and going with the flow - my writing style when I write for magazines and online is very conversational and stream-of-conciousness, to the point where made-up words even make an appearance! Allowing words to flow like that allows a writer to not only remain true to their own style and heart, but it also means your work is unique - and heartfelt. My Riley books were all written almost by osmosis... I just sort of let them unfold and didn't plan them too much. I knew the direction they were going in but I didn't have any ending penned - for all three books - until just a few weeks before printing... I just sort of had faith that everything would unfold. I think that writing style will continue on, too! Is this how you write? Lisa - in answer to your second question... I'm a little burnt out right now, after an intense year and am running on pure adrenaline right now! I feel a hiatus coming on but don't know when that will be possible! I agree that a hiatus can be a good thing and allow fresh perspective - alas, my many writing breaks in the past have been forced, not by choice... and it's one of my few regrets in life. But I am making up for it now!! Many of my writing breaks were situational, because I moved a lot, had massive life changes and challenges... I also went through periods of doubt, wondering if writing was really for me (this usually came upon me after a publisher rejection!)... I've been a jill of all trades, that's for sure! and have worked as a bar maid, an executive assistant, desk top publisher, flight attendant, and in advertising, marketing, promotions and modelling. But every time I've pursued these other avenues, though - I've always returned to... you guessed it... writing. I can't even tell you how it feels to finally write full time and to be having some success with it. It is like I've come home. My interview is happening on ArtSound FM!!! I'd love to hear your advice about reading to twins. As children are so interactive, turn pages, point etc, how can I make reading time a fabulous experience with 2 little ones. Oh yes, reading to twins, well as my twins came second & third, they used to be breastfed together while i read to my toddler. So it was very natural for them to love listening to books too. We had to make it pretty firm on whose turn it was to flip flaps etc. All 4 are all very enthusiastic readers (the twins are now 9). Now in disucssion while washing our dog, my children thought up a fresh question - does Riley have a pet sidekick?? Hi again Lisa - the last part of your question! 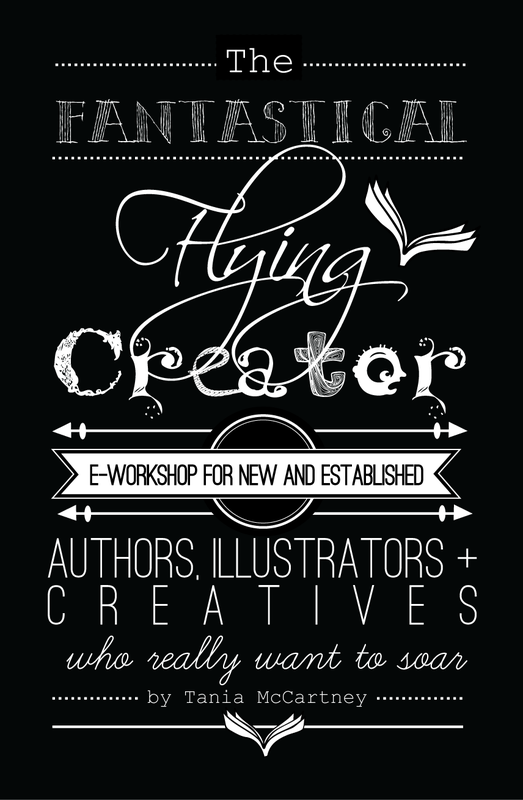 I do flit very easily between writing projects, and yes they are all quite far removed from each other! but I have always written in many genres and I love stretching myself in this way. It's interesting you ask about which genre I prefer most... this sometimes presents a problem only because I can't decide!! I do love working with children's books and also adult non-fiction and I also ADORE writing for magazines - I've written and edited for several, both hard copy and online (currently I'm writing for online mags Australian Women Online and Maeve magazine). I guess for me, I love best whatever it is I'm currently working on... but then, I'm only one person and I can only do so much... in a way, I guess fate will decide which side of my writing takes precendence. Whatever does well in the market will certainly take up more of my time. Hello my Mary Rose! So lovely to have you on KBR. Allow the child to choose the book. Make the reading interactive and by that I mean props, toys, movement, voices, onomatopoeia... make it loud, make it interactive, make it SPECIAL. And lastly - read to kids every single opportunity you get, make sure they catch YOU reading, and let kids 'read' the book when you're done. Yes, even if they're a baby. Hi Tan, I love your books they are amazing, you are such an enthusiastic writer and seem to be so very commited to the long and tediouse hours you put into your work, where do you find your insperation, or is it just a love for what you do that drives you to get so many books out there ? Can't wait to hear the 'reading to twins' answer either as it's such a great question. I can tune into ArtSoundFM online but can't locate your interview. Would love to listen. Any ideas, or is it too late now? Hi again Posie! Thanks for the twin reading insight! Mary Rose is about to become a grandmother to twins (although she is located in the Sunshine Coast hinterlands and babies are in NYC! every excuse to travel lots...). Yes, Riley does have a pet sidekick - it's Panda! Lisa - darn it - you could have listened online, don't know why I didn't think of it. It was great! Barbie is so amazing. Here is the link http://artsound.fm/listen-online/ in case they have archives - but I know it will stream live again on the site this Tuesday 23rd at 2.30pm AEST. Hello my darling Luke! SO wonderful to have you here from Perth! love of travel - something I know you share - my love of photography, adventure and kids. My drive comes from my love of the written word, and a helpless addiction to writing that is completely out of my control. I'm loving read these questions and answers! I have a question for you... how much of the real Riley is in the fictional Riley? Is he just a namesake or do they share some other traits? Goody, I will listen to the interview again on Tuesday. I did get online to listen, but heard a different interview. RE: 'helpless addiction'. I agree with you that writing is often a compulsion you're born with. You can run, but you can't hide. But I have to say you are the best example I've seen yet of someone who combines so many diverse interests and talents in writing. It's brilliant! You're a great inspiration for how it's possible to actually make a living out of writing. Perhaps a lot of people dismiss writing in some form as a career because they believe it's too difficult, if not impossible, to earn a living from it. An interesting question about the Real Riley. I think there is a lot of the real Riley there - an adventurous spirit and lots of curiosity! Plus, both Rileys never sit still and both love to travel. The real Riley also loves his stuffed toys - we do a nightly chat session with his toys before he goes to sleep - they all have different accents! and we laugh our heads off. Riley's real life toys are Jeff the Giraffe (he speaks like Eeyore), Kanga the Roo (high pitched Cockney accent) and Tiger who has a smooth talking female voice. 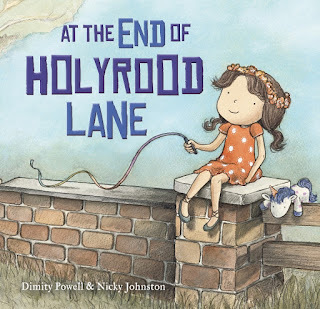 Hello Scarlett and Quiddy - how lovely to have you on Kids Book Review!! Such an interesting question, Dan - about calling myself an 'author'. "Oh no, I'm not a librarian, I'm an author." I think that's probably the first time I've said it out loud! I've always tended to call myself a 'writer' because I've written in so many genres and also - to be honest - I have often felt calling myself an 'author' sounds pretentious. I'm not sure why, but when I said this to the librarians, they both looked at each other as though I was being pretentious!(?) so I guess my fears were justified!!! Do any other authors feel like this? I also feel reluctant saying I'm an author when I've only got 6 books on the shelves and there are 'real life' authors who have done so much more... but then I recently read an interview with someone who has had their FIRST book published and they spoke of themselves as an 'author' with much pride. 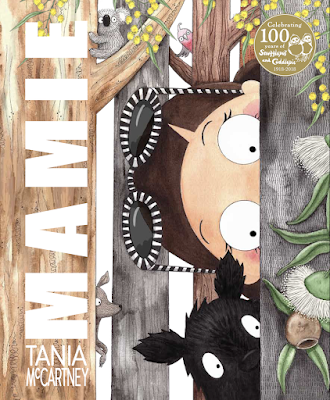 So here I go - my name is Tania and yes, I AM AN AUTHOR!! Lisa - you're so lovely - such lovely comments, especially coming from you! I think it is difficult to earn a living from writing, for sure, but not impossible. I think for authors it's important to diversify into different areas and so up the earning potential. Lots of pies means lots more slices! Sorry all - repeat of my interview will be at 3.30pm on Tuesday on ArtSound FM, not 2.30pm! Hi Tania, i know my Chinese sister in law would love to see the Riley series written in Chinese? Looks like Riley and the Curious Koala will be there Chritmas present from us this year. See you at the markets. Rachelle - I had very intention of printing Riley and the Sleeping Dragon in Chinese/English and was in talks with a Beijing publisher before we left in Jan 2009. Unfortunately, this didn't come through (a shame because they would have made a fortune!). My dream is to write for Chinese children - in a Western way, and have it translated... another something to add to my To Do list!